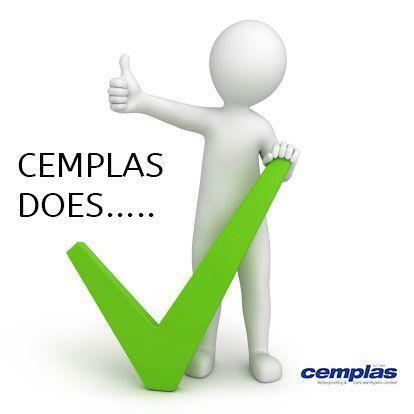 Cemplas Does – Liquid-Applied Re-waterproofing of Flat Roofs, Walkways, Balconies & Terracing. We only use COLD, liquid-applied technologies meaning that we GUARANTEE NO HOT WORKS ensuring that your building is safe from fire risks when carrying out re-waterproofing works. We can provide a detailed report for the design and application & undertake a full refurbishment of your roof or WBT structure to prevent further water ingress and damage. As well as overlaying existing substrates, we can thermally upgrade, re-detail to falls AND replace existing outdated rooflights!